During our studies at Polytech Sorbonne in 2018, Earth Science teachers needed to monitor dikes in the Barcelonnette, a municipality of France in the south of the Alps. 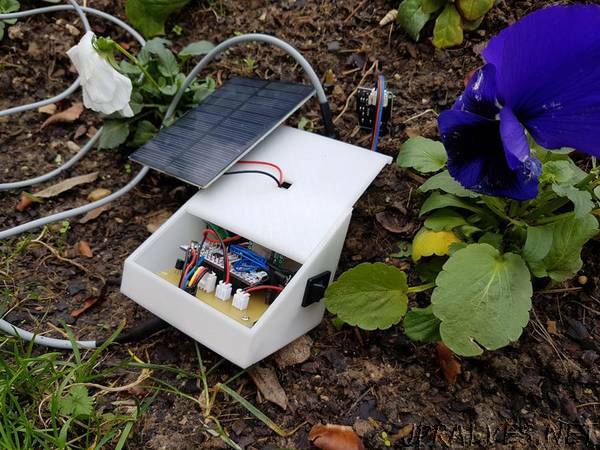 They asked us to find a solution to collect regularly data such as ground and air temperature and humidity, pressure and magnetic field in order to detect landslide. We chose to design an autonomous connecting object that send data they need on a website, where it will be available to consult on. This object will be put on dikes, and it has to works without human interaction except a single visit per year. We will use sensors to get data and a communication module to send it on a website. In order to do that, we will use a microcontroller to manage sensors and communications. Dikes monitoring requires regular data, optimally, every minute, but in our case Earth teachers asked us to send data every 10 minutes. Moreover, if we want our object to work a whole year, it has to be solid (to resist to a rock fall) and be waterproof, in order to protect the electronic circuits inside of the box. After some researches, we decided to certify our object IP54S that correspond to a total protection to dust, a protection to water projections and a resistance to 1J shocks.